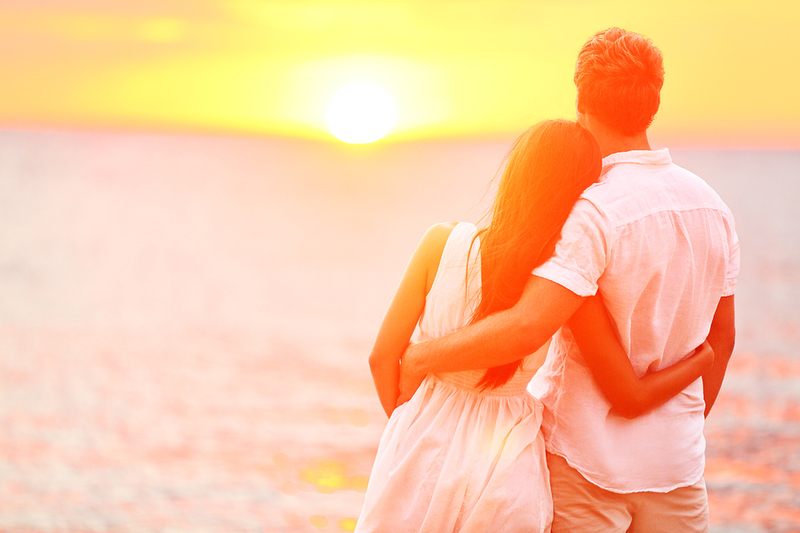 Planning a major getaway while planning a wedding can be a bit overwhelming (to say the least…). But what if I told you there were a few ways to seriously minimize the stress? Use a professional service to book your trip. These days it’s easy to book everything yourself online—flights, hotels, dinner reservations, even hot air balloon rides in Turkey—but that doesn’t always mean it’s the best approach. Using a professional travel agent or a service like American Express Travel often yields special rates and perks not available to the general public which include early check in times, free bonus nights, room upgrades, and special services (hello, in-room couples massage!). And most surprisingly, these services are typically free for travelers because the agents get paid through the hotels and vendors when they book a client. And if something goes wrong, they handle it. So that’s take one thing off your plate and delegate the planning to a professional. Take advantage of in-airport spas and lounges. To me, there’s nothing more stressful than the airport. Between the long security lines, terrible food options, and lengthy layovers between flights, it may seem like you’ll never get to your final destination. But what if you could get a pedicure while waiting to board your next flight? Spas and salons are popping up in airports around the world, including Terminal Getaway Spa, which offers massages, mani/pedis, and even facials in terminals such as Chicago, Charlotte, and Orlando. Now you’ll arrive at your hotel feeling refreshed and ready to honeymoon. Make sure you and your S.O. are the same page before take off. Weddings are full of expectations and I’ve seen many brides disappointed because they didn’t vocalize what she wanted ahead of time. So, let me tell you a secret: honeymoons are the same way. If you’re looking forward to a romantic and relaxing getaway but your S.O. wants something more extreme, neither of you is going to enjoy your trip. Before you pack your bags, be sure to plan an itinerary that includes things you both want to do, as well as down time to bond as newlyweds. Enjoy credit card perks and upgrade your airplane seat stat. Unless you’re a celebrity, you’re probably not flying private on the reg, let alone sitting in first class. But for your honeymoon, you should receive nothing less than star treatment. Check into your credit card’s perks program to see if you have accrued enough points to allow you (or your travel agent) to book a prime seat to your destination. Because there are a lot of things in life that are overrated, but flying first class isn’t one of them. Don’t forget to pack a go-with-the-flow attitude. As any experienced traveler knows, sometimes sh*t just happens: rain ruins your sunny tropical vay-cay, you miss a connecting flight, or get an unwanted cold. Which means that above all, you and your new spouse need to keep calm and carry on in the face of unplanned events. Have a cocktail, laugh about whatever is going wrong, and revel in the fact that now you have a partner for all of life’s ups and downs.